Fresh smoothies made with fresh fruits and vegetables that are low in sugar can provide a wide range of health benefits for hair and skin. Good smoothies for healthy hair are made with dark leafy greens, berries, nuts like walnuts or almonds, avocados and flax seeds. So a good hair growth smoothie will supply some or all of the following nutrients: Iron, Vitamin C, Protein, Niacin, Zinc and Biotin for hair growth. 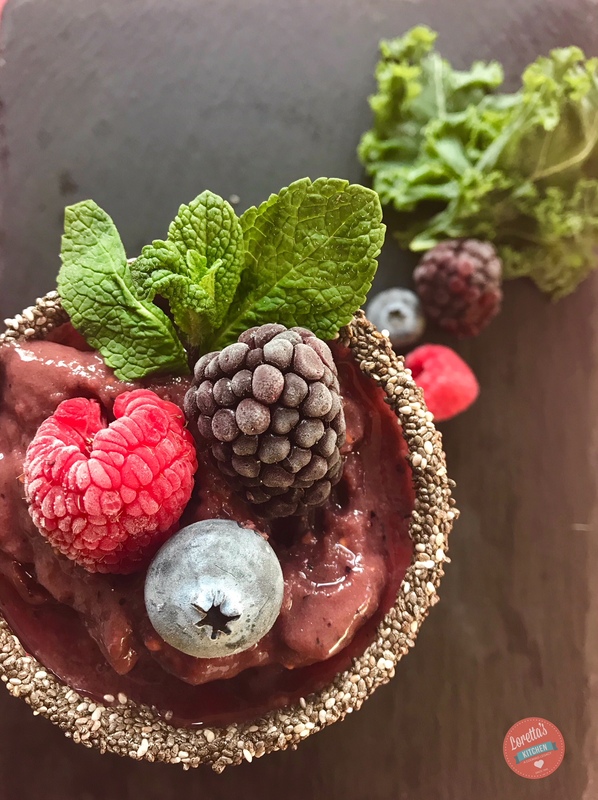 Below is a recipe for my Berry Spinach Chia seed smoothie. Berries are a great source of Vitamin C, which helps the body absorb Iron. Vitamin C is also essential for the formation of collagen, which keeps hair strong and flexible, preventing it from becoming dry, brittle and easily breakable. Spinach provides folate and Iron. Iron helps red blood cells transport oxygen around the body. Iron deficiency (anemia) can inhibit the transportation of oxygen to cells and can cause hair loss. Mix all ingredients in a blender until smooth and frothy.